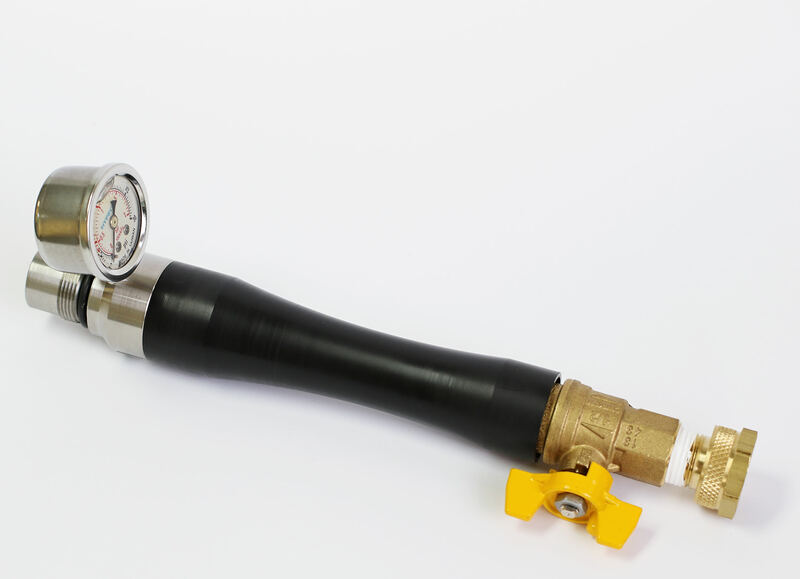 The Jet Nozzle VRI IPX 5/6 Set, is used for the verification test of the degree of protection to the risk of water penetration provided by the wrapper of equipment in fulfillment of IPX5 and IPX6 according to the IEC 60529 Section 14.2.5. & 14.2.6. 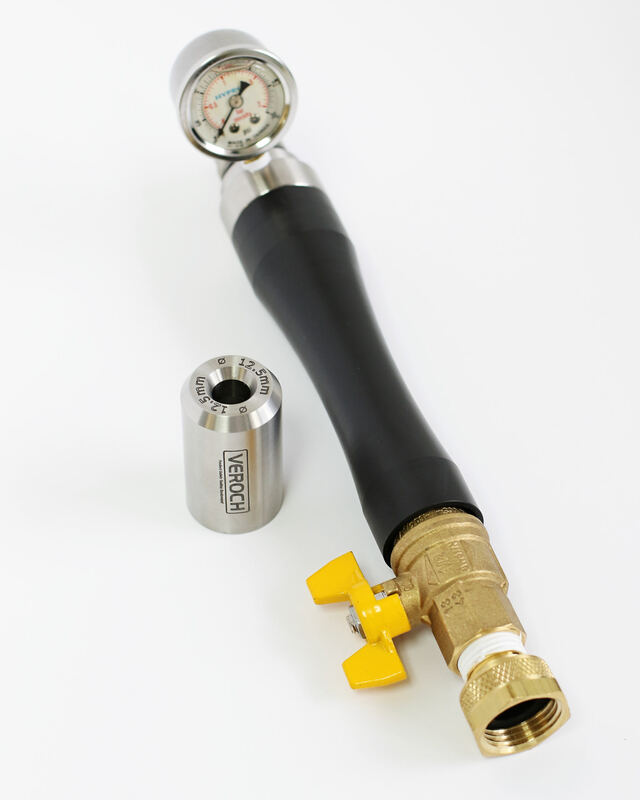 The Jet Nozzle VRI IPX 5/6 Set consists of a jet handle that is equipped with an easy-to-adjust flow valve and a pressure gauge. 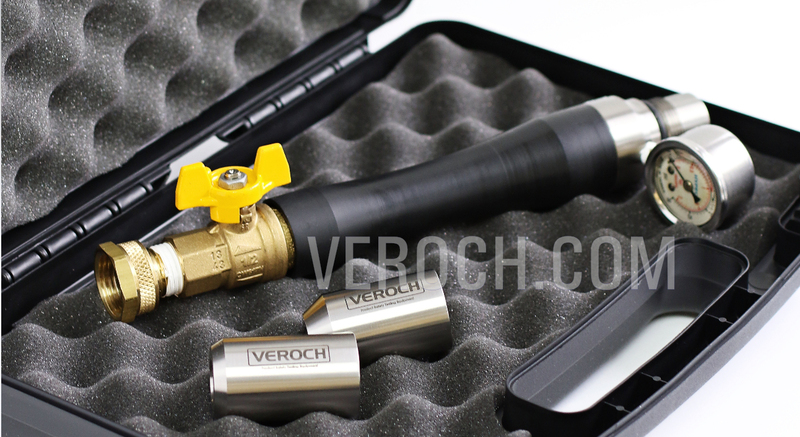 – Interchangeable nozzles that assemble easily to the jet handle. 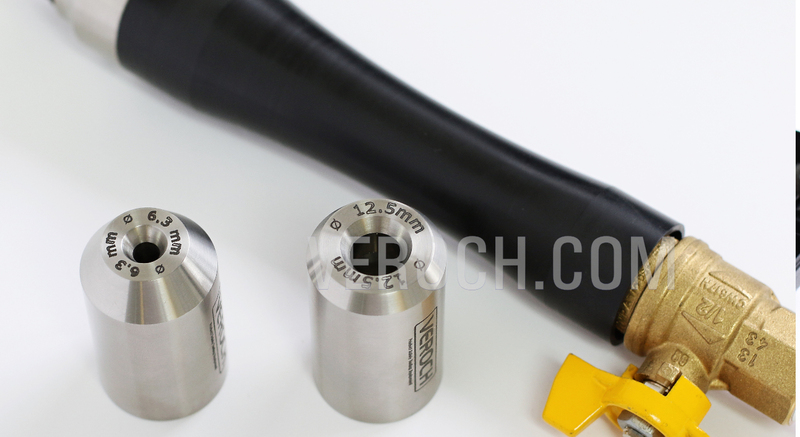 – Nozzles made from stainless steel.